If you are new to Be in Health®, the For My Life® course is where it all starts! This is where you begin to learn the Biblical principles that will make you free. Over 20 years ago, Be in Health® ran into a great problem. Thousands of people were coming for help, but we didn’t have the infrastructure to help them all. Out of this was birthed the For My Life® Course. For My Life® is our world-renowned one-week course that teaches attendees what is causing their specific disease and the Biblical solutions to overcome and be healed. Over 40,000 people have attended For My Life over the years and our loving and highly-trained team are ready to help you make disease a thing of the past. Check out these Testimonies to see what God is doing through For My Life. During the summer months, we also offer For My Life® courses for Kids 6-12 and Youth 13-17. Bring the whole family. Trust us, you will never be the same! As we said before, For My Life® is where you have to start, but if you are not in a position to make the trip to Thomaston, GA we do offer For My Life® Online. This is a full For My Life® you can complete at your own pace within a 10-week time frame. Although there is nothing like coming to the For My Life® course in Thomaston, GA, For My Life® Online is the next best thing. However, the healings from For My Life® Online have been amazing, too. For My Life® Online is $429 and includes a downloadable course guide to follow along with the classes and ministry. After For My Life®, the next step is the Walk Out® Workshop. The term walkout refers to the journey of walking out of the old life of disease and hopelessness and into a new life of health and wholeness. During this one week workshop, our team and attendees roll up their sleeves and begin to get really interactive with the principles from For My Life™. We will talk about things like how to not go into guilt when we fall short, becoming established in our identity, overcoming temptation, how to forgive when you’ve been hurt, and learning to walk in the Father’s Love. Break out groups, lots of Q & A, and continued healing of your spirit, soul, and body are all part of this amazing week. Many people attend For My Life and the Walk Out Workshop back-to-back weeks, but if you cannot it’s recommended to come back within 6-12 months to attend the Walk Out Workshop. We offer one Walk Out® Workshop a year in the summer for kids (6-12) and youth (13-17). These are an absolute blast and a blessing for the families that attend. 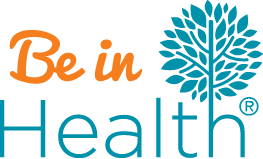 The Be in Health® Married Couples Retreat is a marriage retreat unlike any other you will find. Held just once a year, Dr. Henry Wright and his wife Pastor Donna, get real about the what God intended marriage to look like and the barriers that no one likes to discuss that hinder our marriages from being all that God intended them to be. Everything from the order in the home to physical issues is covered. And there is lots of time for Q & A. There is also an elegant date night at the end of the week where you and your spouse can celebrate and rejoice in all that God is doing in you and your marriage. You can’t afford to miss it! Periodically throughout the year Be in Health holds an Advanced Insights course lasting one week and going in-depth on a selected topic. Topics include Spirit World Realities, Disease Prevention, and His Ways Vs. Our Ways. If you want to get the highest level of interaction with our Be in Health pastors and really begin to understand these topics in order to be an overcomer make sure you check out dates and classes on our events calendar.